PreOrders for Big Trouble In Little China the Boardgame Available Now! Everything Epic is taking preorders for the Deluxe Edition of Big Trouble in Little China, the Boardgame now! 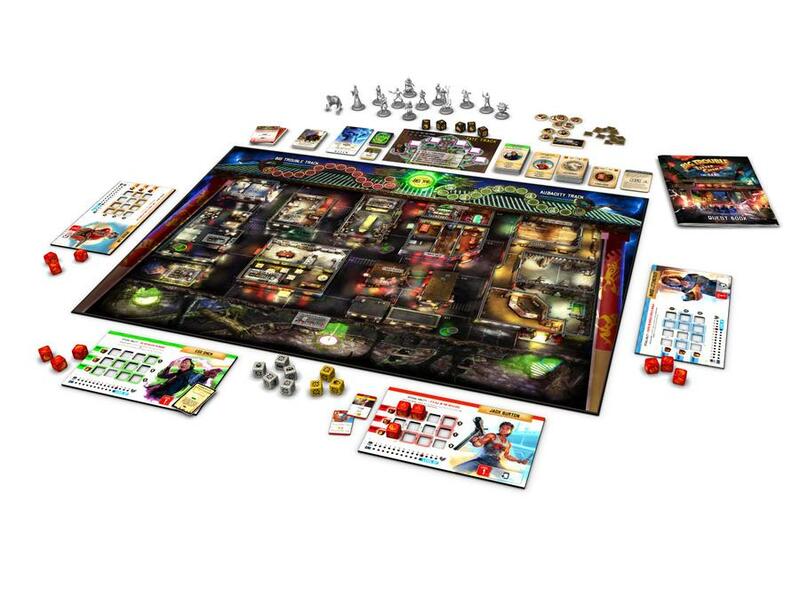 In Big Trouble in Little China the Game you’ll embark on a wild adventure to experience the exotic and mystical underworld of Chinatown. You and up to 3 other players (1-6 in Deluxe) take on the roles of their favorite iconic heroes from the film like Jack, Gracie, Egg, and the rest of the gang. Each character uses their unique talents and abilities to take on various missions throughout Little China. You’ll work together gaining chi and audacity to level up in preparation for the Final Showdown to take down Lo Pan, the Three Storms, and a slew of other powerful henchmen, in this cooperative, replayable, cinematic experience. 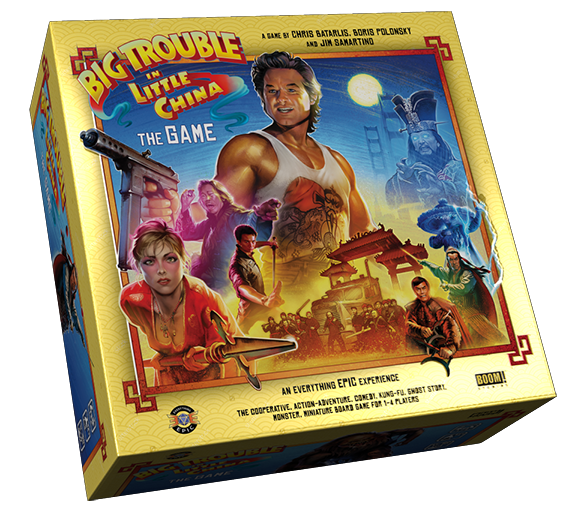 The Deluxe Limited Edition of Big Trouble in Little China: the Game is being created with the biggest fans of the film in mind. We wanted to say thank you to those who believe in our project as much as we do and to give them something special for pre-ordering the game. 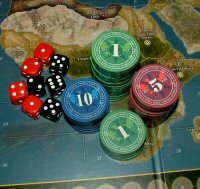 The core game will allow for 1-4 players, but the Deluxe edition will increase the number of possible players to six!. The Deluxe edition will also include the Legacy of Lo Pan quests, with new rewards and hell cards, which give players an entirely new campaign-style experience and a new Lo Pan Boss board for an even more challenging and replayable showdown. All these extras will come in a unique metallic gold Limited Edition box design and more!